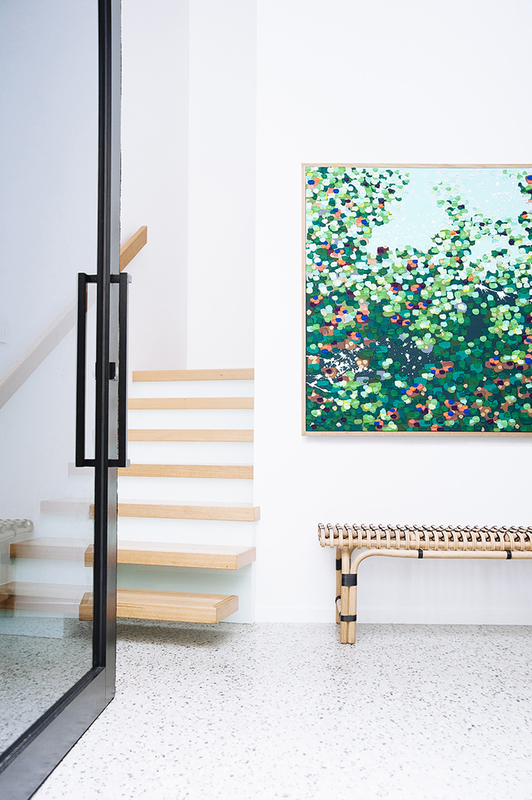 A contemporary beach house offers up a bright and breezy interior by Cedar & Suede. 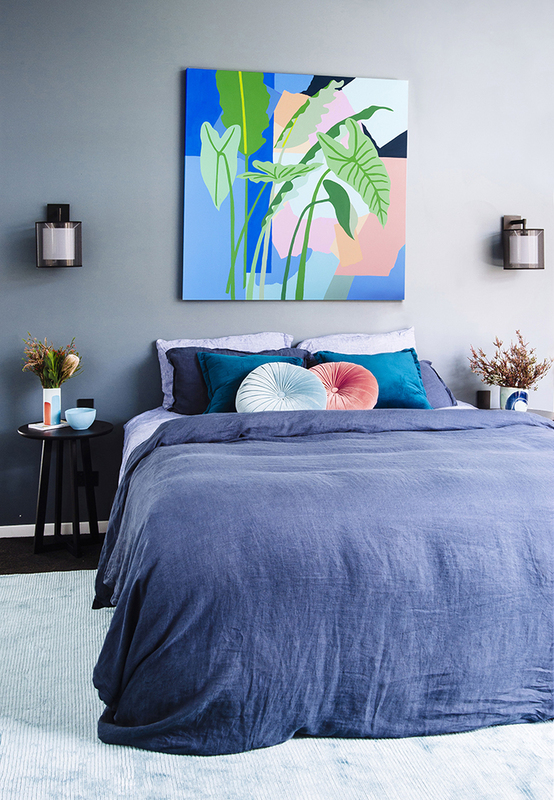 Michael and Carlene Duffy have kept busy since their stint on Nine’s TV mega-hit The Block: Glasshouse, putting their sought-after skills to work for clients of their burgeoning interior design and renovation business, Cedar and Suede. 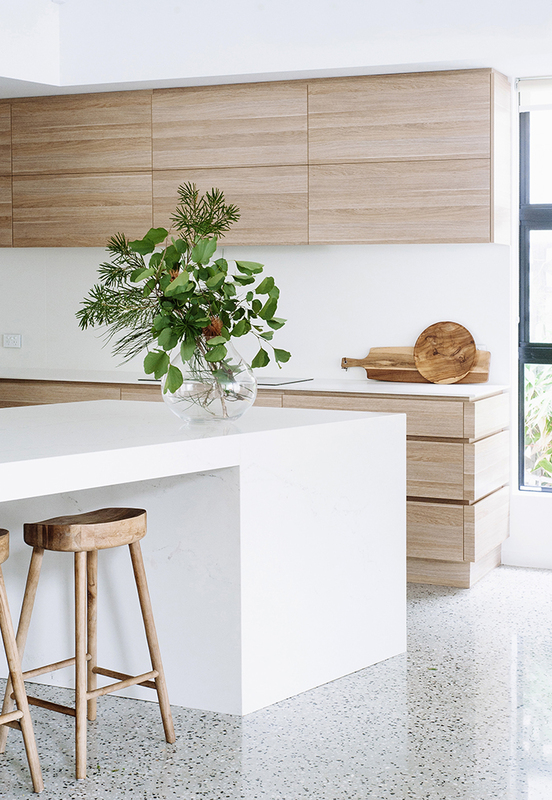 Here, Carlene creates a contemporary Gold Coast beach house, minus all the seaside styling stereotypes. The home was so eye-catching it made it to our front cover! 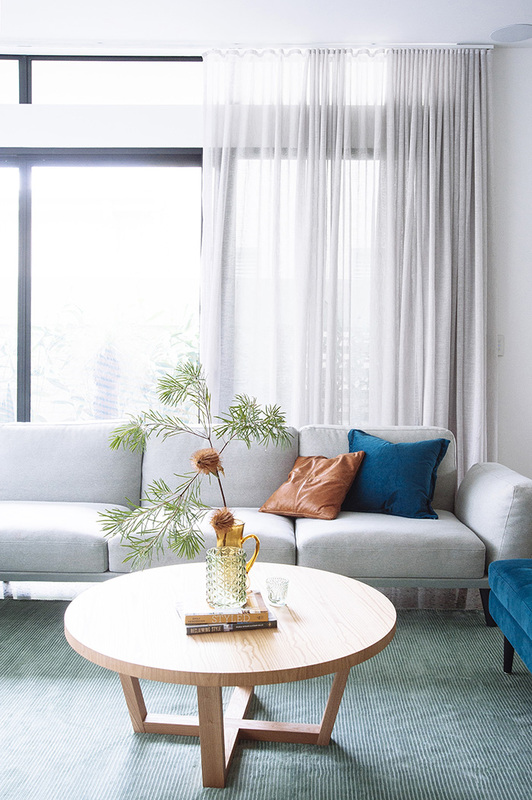 the coastal aesthetic to be subtle here,” says Carlene, who made her styling choices for the new build based around the homeowners – a young family of five, including four-year-old twin boys and a baby girl. 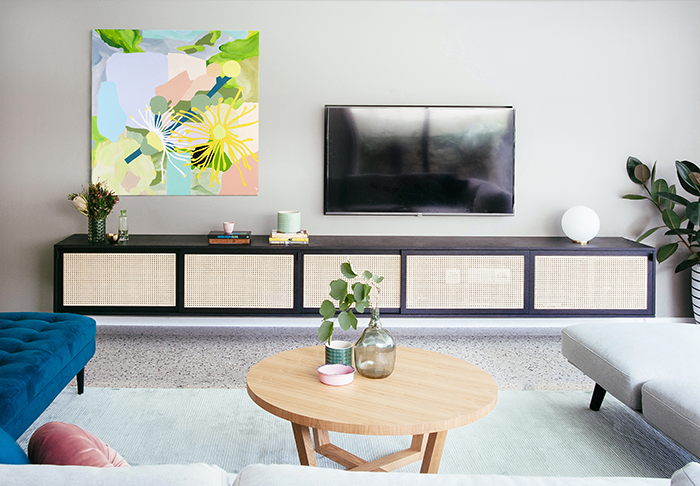 Many of the larger pieces were custom made by Gold Coast furniture makers, Kira & Kira, including a striking four-metre-long black credenza with rattan doors which takes pride of place in the TV/loungeroom, providing smart storage and a dash of coastal aesthetic. A sumptuous sectional couch and velvet ottoman from King Living anchor this family-friendly space. 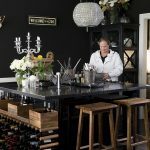 Carlene says she aimed to create “a sophisticated, refined and relaxed interior with subtle, contemporary-coastal accents,” for her clients. 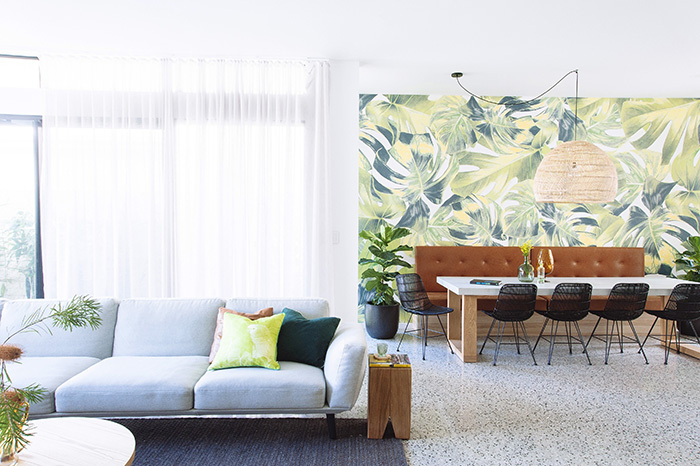 But there’s also plenty of pizzazz too, brought to the forefront in the open plan dining area, with its Tropicana-inspired feature wall. 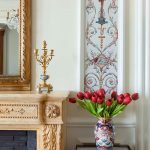 The Welcome to the Jungle wallpaper by Scandinavian Wallpaper & Decor is “just the right amount of fun,” says Carlene. “The tan leather of the banquet seat is the ultimate complementing colour against the green.” The contrasting black rattan dining chairs and statement pendant by HK Living are from Kira & Kira, who also designed the stunning Foundation dining table. 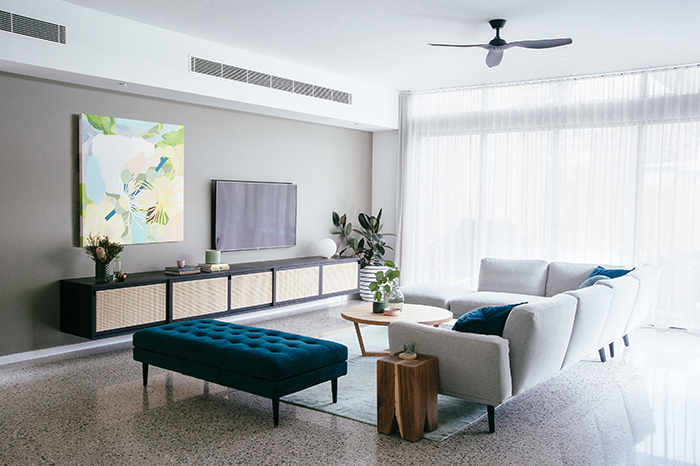 This is a family home where relaxed sophistication is the order of the day – it’s pure, modern, contemporary coastal style.